462 pages | 93 B/W Illus. 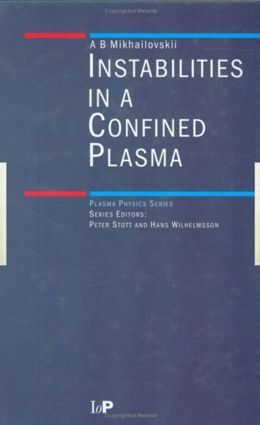 Instabilities in a Confined Plasma is entirely devoted to a theoretical exposition of the subject of plasma instabilities in confined systems. The book is an important contribution to the study of plasma instabilities, not only in fusion devices such as the Tokamak but also in astrophysical phenomena. It covers toroidal confinement systems, internal MHD modes, small-scale MHD instabilities, MHD internal kink modes, MHD modes in collisionless and neoclassical regimes, drift-MHD modes, external kink modes, and Alfven eigenmodes.